Quorn Grange is a majestic building situated in 8 acres of beautiful gardens in the heart of Leicestershire. 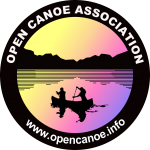 It’s owned and operated by the GFTU Education Trust and the Business Development Manager is Ian Richards: past Chairman of the Open Canoe Association and past Chairman of British Canoeing’s Regional Development Team for the East Midlands. Our thanks go to Ian for arranging this impressive venue for the 1st UK Quietwater Plus Canoe Conclave!